It’s hard to remember what life was like before Houzz. Thanks to Houzz, those days are just an unhappy memory and now clients can browse through millions of photos and ideabooks on the site and share exactly what they are looking for. 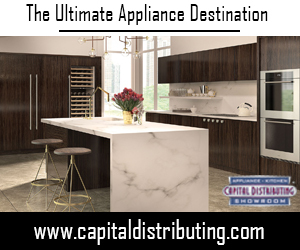 As a Lifestylist® I’m always in search of the next cool product that will simplify my life, and when I was introduced to Houzz in 2011 I knew that this was a game changer. 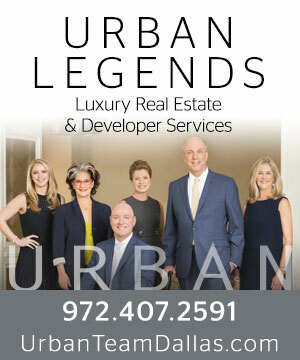 Not only would my clients have a great resource to visually share what they were looking for, but it was also a great new resource to let potential companies know about us. 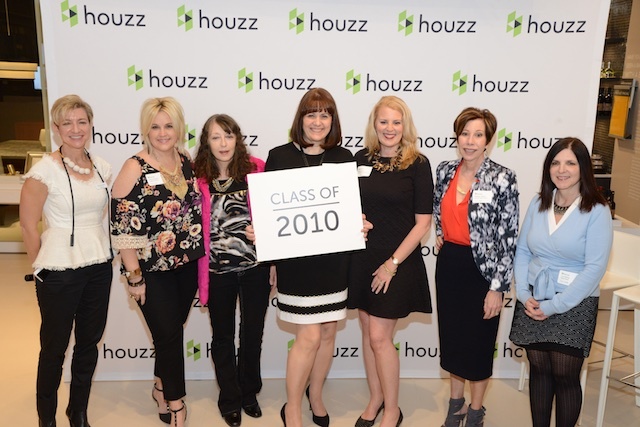 Yesterday Houzz came to Dallas to celebrate their 5 year anniversary and shared that there are now over 66,400 Dallas home improvement pros active on Houzz, they have over 35 million unique users a month, and there are now Houzz sites for 10 countries plus North America. 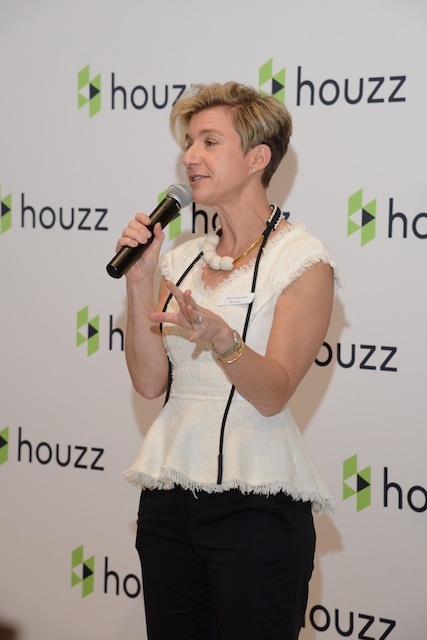 Liza Hausman, the Houzz VP of Industry Marketing shared with us that more consumers are going mobile with their searches and shopping and their Houzz app has some really exciting tools that they have recently added. 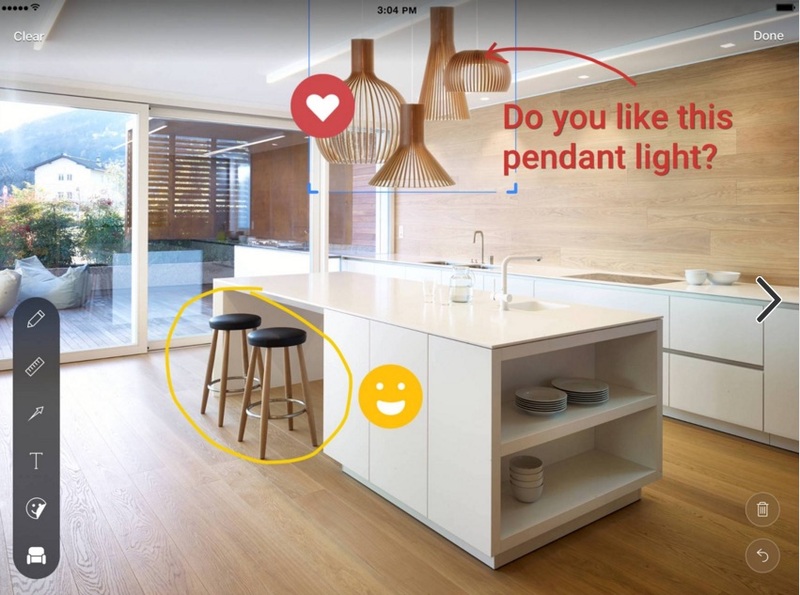 Sketch makes it possible for you to use an image on Houzz or to take your own photo of a room and add products and materials from the Houzz shop. You can size the products, move them around, and even write, type or draw idea and suggestions on the image. Sketch is fairly new, so if you haven’t updated your Houzz app on your phone or iPad you might want to do that now. I tried Sketch out as soon as I found out about and I love it! 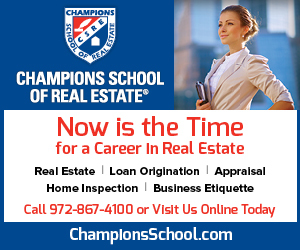 With this tool it is easy to communicate with clients — you can even put together mood boards using images from the site. 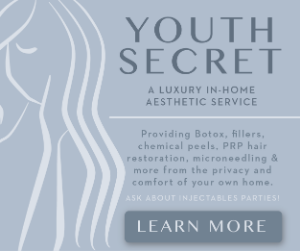 And did we mention that all of this is free? Some of our CandysDirt.com family were recognized for their accomplishments during the evening – Hot Builder Greico Modern Homes was awarded Most Collaborative, Photo Excellence went to Harold Leidner Landscape Architects, and our very own Karen Eubank of Eubank Staging and Design was named an Early Adopter. We also did well in the Houzz 2016 Awards — what a talented group! 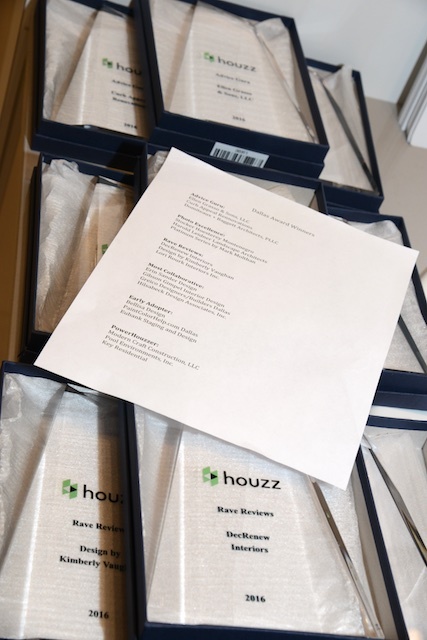 Happy fifth anniversary Houzz! 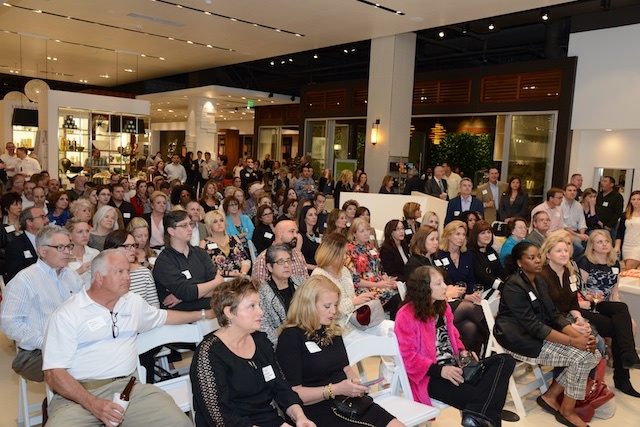 We’re so glad that we could help you celebrate at PIRCH last night, and here’s to many more! Cheers! Preston Center Task Force: The Pink Wall is a Restricted Community, No Section 8 Housing Here!